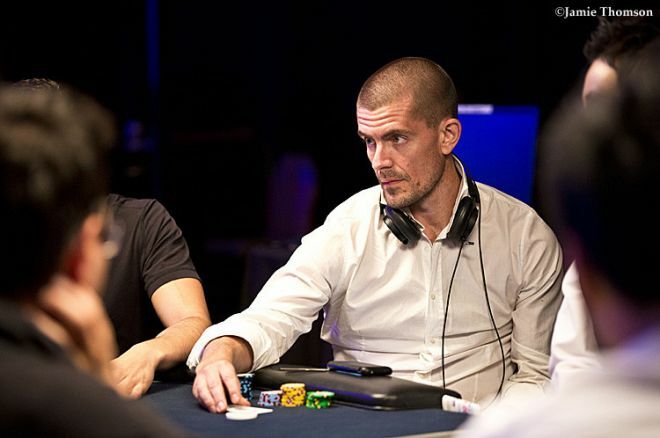 Gus Hansen on His Poker Losses: "My Table Selection is Horrible"
Four months after his sponsorship with Full Tilt ended, high-stakes poker regular Gus Hansen opened up an interview with Denmark’s Pokernyhederne to discuss the past and future of poker. In Copenhagen to participate in the Copenhagen Bridge Invitational, Hansen blamed himself for his poor online results and explained that it may be time for him to get better at the game, or to simply play at lower stakes. "One has to be honest and say that sometimes somebody catches up to you and sometimes somebody surpasses you," Hansen explained. "That has been the case with the results I have had for a long period of time." Hansen, who sits on top of Denmark’s all-time money list with total live tournament earnings of $11.2 million according to the HendonMob, closed 2014 as the year’s biggest online loser with losses of $5,864,263. As Chad Holloway pointed out here on PokerNews in his recap of the high stakes online action in 2014, the past year was not the worst for 'The Great Dane' - he closed the prior year $8,461,472 in the red. "If there’s any silver lining to Hansen's ," Holloway writes, "it's that he lost less than 2013 despite playing nearly the same amount of sessions (1,627 in 2013 to 1,604 this year) and more hands (200,904 to 171,743). His average loss per hand also dropped from a hefty $49.27 in 2013 to a more modest $29.19 in 2014." "Maybe I’ll have to breathe in and see if I can turn things around," Hansen told Pokernyhederne. "Under any circumstances use some time to analyze my game and improve. Maybe that won't happen, maybe I'll begin playing some more tournaments, even though it has been a while since I had a result." Among the reasons behind his lack of results, Hansen mentioned his disastrous table selection and his inability to deal with one of poker's most complicated challenges: tilt. "If you should rate my table selection," Hansen said, "it would be about the worst that has ever been seen. Also, my tilt factor is about the worst in the world and my stubbornness is about the worst. It's obvious that some of these factors have weighed in a led to bad my results." This is not the first time Hansen discussed his difficulty in dealing with big losses. During the 2013 Full Tilt Poker Festival held in Ireland, Hansen explained that he felt like he was missing something. "Maybe I'm outdated. I am kind of questioning myself,” Hansen said. "I think every competitive player has to question himself at some point and ask 'has the game surpassed me? Am I rusty? Am I not good enough in this game anymore?' I'm asking myself questions and that keeps me up at night. Especially when I go on a big losing streak as I am." "I don’t have any poker plan right now"
During the interview recorded in Copenhagen, Hansen touched on the end of his sponsorship deal with Full Tilt, saying that "perhaps it was a good time for me to break up" with the room. "I had a long relationship with Full Tilt. It has been a good relationship and it still is," he continued. "Perhaps it was a good time for me to break up with Full Tilt. Maybe it happened at the right time for me to get some breathing space." Hansen took a break from the online high stakes action after his relationship with Full Tilt ended, but it did not help turn his losing streak around. He returned in December and finished the month with a small loss. "I didn't play well; there were many factors I didn't have control of. I wanted to give it a shot after a long break, but I didn't feel I was ready to enter in the lion's cage, and that’s how it can feel when you play pot-limit Omaha against some of the best players in the world." "I have the World Series of Poker and the European Poker Tour in Monaco on my schedule, but I don't even know what will happen until then," Hansen explained when asked about his future plans. Meanwhile, however, the Great Dane seems keen to get into new adventures outside of poker, especially if he continues to see his name at the top of the biggest losers' list. Earlier this month, Hansen announced that he has invested millions in a company named Bridge+ Company, a Danish firm that promises to solve some of bridge's most common problems with a tool named Bridge+ Dealer. "I have learned to play bridge before I have learned to play poker, so one could say that I have 'returned' to the game," Hansen said jokingly. "During the last couple of years I have restarted to read about bridge and I have played in some smaller tournaments. I think it’s a really fun game." "I have given playing more bridge some thoughts," Hansen continued. "Not as a professional bridge player though, as I am not good enough. Even if, hopefully, I will become a little better." At the same time, however, he also plans to keep one foot in the poker world, as he admitted that he may get on 2/4 or 5/10 pot-limit Omaha games in order to "not get too rusty."